Big cats around the world are under constant threat from the planet’s most dangerous predators: humans. The international organizations trying to stem the tide of abuse and slaughter face staggering odds, but they aren’t backing down. And in saving these glorious creatures, they may just be saving the world. Champagne won’t be flowing anytime soon. More than two decades after its 1992 launch, Big Cat Rescue continues to be bombarded with animals in need—not all of which can be saved. Its focus, however, is on the cats that can be saved, which have numbered in the thousands over the years. It’s a track record that’s doubly impressive when you consider that founder Carole Baskin didn’t set out to establish a rescue organization. The road to Big Cat Rescue began with an impulsive decision to save one bobcat from a brutal death. In the early 1990s, Baskin and her late husband attended an auction where they hoped to purchase llamas to serve as eco-friendly “lawn mowers” for their forty-five-acre Florida spread. Upon arriving in the parking lot, however, they saw a man walk out with a bobcat he had just purchased—and proceed to club it to death. Reeling from the horror they had just witnessed, they hurried into the auction and outbid other attendees for another bobcat cub, fearful that it might suffer a similar fate. Elated to have saved the adorable cub, they soon decided to purchase a second bobcat in the mistaken belief they would make good pets. This time they stumbled onto a fur farm, where the owner admitted that the bobcats he couldn’t sell as pets would be killed for their fur within a year. In tears, Baskin again made an impulsive decision, buying all fifty-six bobcat and lynx cubs on the condition that the owner shut down his fur supply business. With no idea how to care for the animals, Baskin turned to breeders for advice. All of it turned out to be bad. By the time she discovered that big cats did not, in fact, make good pets—and that breeding and selling them didn’t help conservation, as bobcats aren’t endangered—she was already guardian to dozens of cats. Baskin tried to place some of the cubs with new homes, only to have many of those animals come back to her when their new owners were unable to care for them. It was the wake-up call she needed. Applying the old adage “When you know better, you do better,” Baskin immediately changed everything about the way she operated. Big Cat Rescue, which now occupies seventy acres in north Tampa, was born as a no-sell, no-breed sanctuary whose dual mission is to educate people about the dangers facing these animals while providing a better life for as many abused cats as is humanely possible. As Baskin experienced firsthand, private owners of big cats are challenged by one difficulty after another, with money being a major issue. Proper feeding and veterinary care alone costs about $10,000 a year, which is why Big Cat Rescue finds the majority of privately owned cats living in filth and starving. “Whether the owners had good intentions at the beginning or not, it’s the norm rather than the exception that these cats end up in deplorable conditions,” Bass explains. Recognizing that the organization will never be able to rescue its way out of the situation, its members have turned to legislation in hopes of securing a permanent solution. Baskin has been instrumental in crafting a federal bill called the Big Cats and Public Safety Protection Act, pending in the House and Senate, to prohibit private ownership of these big cats, as well as to prohibit the public from having contact with them. Currently, the patchwork of laws across the fifty states means that legality varies widely, with six states having no regulations on the books at all. Even in the thirty states that have banned private ownership, including Florida, there’s a loophole that says owners who keep big cats for exhibition purposes can simply pay a $40 exhibitor fee and keep them wherever they want. Recently, a government survey concluded that 70 percent of people with such licenses are just private owners using the loophole to skirt the law. “It’s easier to buy a lion or tiger than to go down to the humane society and adopt a cat or a dog,” Bass laments. Adolescent male Bengal Tiger (Panthera tigris tigris) (around 15 months) resting up a tree. Bandhavgarh NP, Madhya Pradesh, India. Even using the best methods, it takes three to five years to determine population trends in big cats, which is why Panthera is committed for the long haul. The prohibition on public contact is equally important because the practice of “cub petting” is a big contributor to the issue of abused and abandoned cats. There are more than a hundred exhibitors around the country who charge people to pet big cat cubs, either at their home or at places like malls and state fairs, Bass says. “What people don’t realize is that their five minutes with that cub equals a lifetime of misery for it,” she explains. 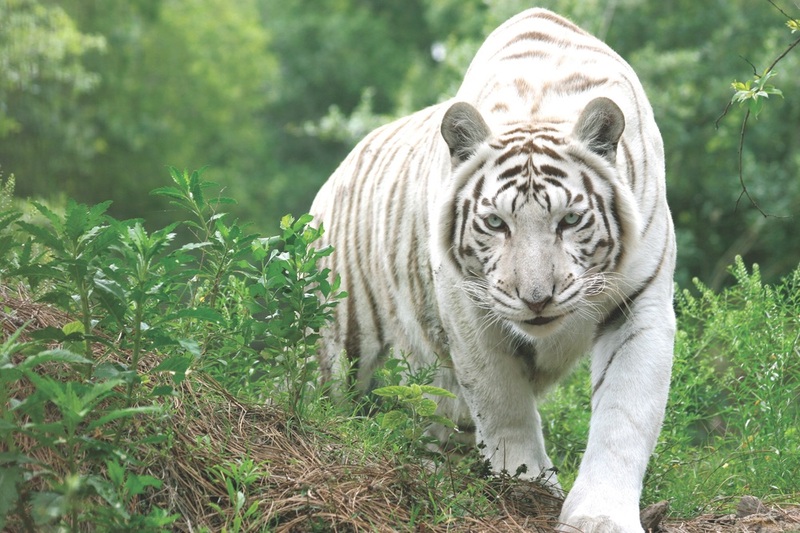 While waiting for legal remedies to take effect, Big Cat Rescue maintains its educational activities through guided tours of its accredited sanctuary. Visitors pay $36 for a day tour—which goes toward the roughly $1 million it takes to care for the cats each year—where they learn about the individual cats and what led to their arrival at the sanctuary, as well as the larger picture of what’s happening to big cats around the world. What guests encounter is a best-case scenario for rescued cats, with enclosures of up to three acres, plenty of space to roam, and definitely no petting. It’s a luxury for the cats, but it’s still not what Mother Nature intended. That’s why Baskin and her staff are rallying behind the passage of the Big Cats and Public Safety Protection Act, which will eliminate breeders’ profits and make private ownership truly illegal. Though current owners will be grandfathered in, big cats usually don’t live more than twenty-five years in captivity, which means the organization’s going-out-of-business party could be just a few decades away. “This problem of thousands of abused animals can be solved in one generation of cats if people stop breeding them,” Bass says. A World without Big Cats? While Big Cat Rescue struggles with too many animals, Panthera faces the opposite problem. Panthera is the only organization whose scope includes protection of all thirty-eight big cat species, though its core focus is on the seven largest—tigers, lions, snow leopards, jaguars, leopards, cheetahs, and cougars—many of which are endangered. This fact is bad news for all of us because, as it turns out, dwindling numbers of big cats probably means the planet isn’t doing so hot. Big cats are apex predators, meaning they’re the largest predator in the ecosystem—the great white shark of dry land. Their position at the top of the food chain means they require lots of space, abundant prey, and a healthy environment. By putting resources toward ensuring that cat species remain in the wild, Panthera is also ensuring that these vast landscapes are functioning well, a nice benefit for the people who share the planet with cats. Passion is at the heart of Panthera, but reason is what drives it. It is a science-based organization of the planet’s foremost authorities on big cats developing strategic plans with measurable results. Panthera has an international workforce collecting data about where the animals are and what threats are affecting them, and using that data to help focus conservation efforts. Clear-cutting, converting wild spaces into agricultural areas, and building highways all break up the landscape and isolate cat populations. What they know so far is that big cats are dying for three main reasons: intentional slaughter due to the illegal wildlife trade and to human conflict; lack of prey; and habitat loss and fragmentation. The illegal wildlife trade, which attracts the most media attention, is especially dangerous for tigers because nearly every body part is in demand, whether intended for use in traditional medicine or simply as a status symbol. The other type of direct slaughter involves conflict or retaliatory killings, a measure people take when they fear big cats going after their livestock—which is very often their livelihood. That can be exacerbated when cats don’t have enough prey. That brings us to the second threat. As Heydlauff says, “Big cats need big cat food.” Humans, in many cases, legally hunt prey sources like deer, boar, and antelope—often unsustainably. The result is that some wild cats have very little to eat and turn to livestock, further fueling conflict with people. Habitat loss and fragmentation is the last major hurdle. Clear-cutting, converting wild spaces into agricultural areas, and building highways all break up the landscape and isolate cat populations. Animals need to breed with unrelated mates to ensure healthy gene flow and the long-term health of a species, so isolation from different packs leads to unhealthy cats. Panthera’s teams of experts haven’t stopped at merely identifying the problems, however; they’ve also honed in on solutions to help some of the most precarious species. Tigers Forever, one of Panthera’s largest programs, is perhaps the best example of the organization’s emphasis on science-backed action. It started in 2006 with the question of why—as in why, with so many organizations funneling resources into the problem of tiger endangerment, were there only a little over three thousand tigers left in the wild? Panthera and the world’s leading tiger experts asked some hard questions, and what they discovered was that previous initiatives had been diffuse and, consequently, largely ineffective. Panthera decided to focus only on the primary reasons tigers are dying right now. If they could do that, they projected an increase in tiger numbers by 50 percent at key sites over a ten-year period. So they got to work. 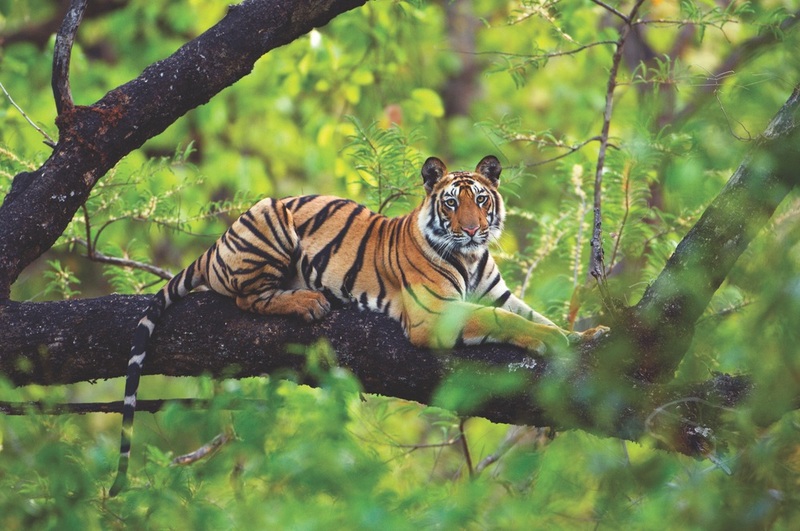 Today, there are fourteen Tigers Forever sites in six Asian countries, all working with a suite of partners ranging from governments to park staff to local and international nongovernmental organizations. Never before have so many groups worked under one umbrella of shared metrics of success, Heydlauff states. These “boots on the ground” contingents are tending to the most urgent threat, poachers, by focusing on law enforcement and site security to prevent human predators from encroaching on tiger territory; they also monitor tiger and prey numbers. Panthera has verified only eight countries with breeding populations of tigers, but the organization’s efforts are already paying off with signs of rebounding numbers in southern Sumatra and a stabilizing population in Malaysia. It turns out that Panthera’s lean, nimble structure, its partnership with top scientists, and a system where 100 percent of donations go to conservation and educational programs (thanks to the board’s financing of all fund-raising and nonprogram costs) is a formula for success. “The good news is that we know what’s killing these cats and how to save them,” Heydlauff stresses. 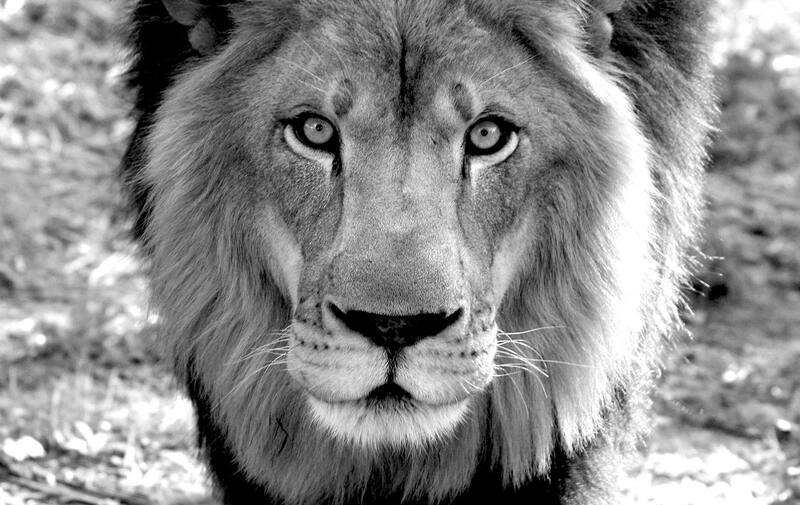 For more information about the rescue and conservation of big cats, visit www.bigcatrescue.org and www.panthera.org. It takes plenty of cold, hard cash to keep organizations like Big Cat Rescue and Panthera afloat, but money aside, there are concrete ways to help big cat preservation and rescue efforts. Refuse to participate in events that allow people to pet or hold big cats. Cutting off the demand will eliminate the supply and, eventually, the abuse and abandonment of big cats that have outgrown their money-making abilities. Visit www.stopbigcatabuse.com and ask your representative to cosponsor the Big Cats and Public Safety Protection Act, which is outlined on the website. It even identifies area representatives to make it easier for you to contact them. Be cautious about volunteer opportunities that involve socializing game animals like lions. Many times, the organization behind these “opportunities” hosts canned hunts wherein guests—largely Americans—can hunt large game contained within a small area. The companies encourage unsuspecting volunteers to socialize the animals when they’re young for the purpose of making them easier to kill when they grow up. Steer clear of sanctuaries or zoos that aren’t accredited or that advertise cub petting. Accredited facilities can’t buy, sell, breed, or take animals off the property for events. Many nonaccredited “sanctuaries” are actually breeders or support breeders. 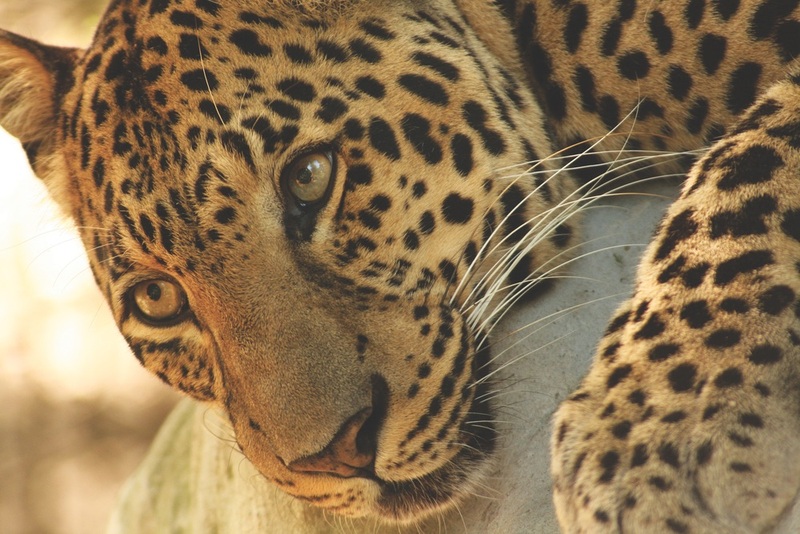 Support conservation efforts that keep big cats in the wild, not just in zoos.